The iPhone 7 is the most talked about phone in the industry at the moment and rightly so. With a fanfare reminiscent of a celebrity status, the annual iPhone rumour has been making its rounds. From specifications, pictures to demo handsets there have been many leaks but one that we can be certain of comes from the industry favourite evleaks. Evleaks has been spot on over the years with dates and rumoured features, so his words are taken very seriously. (Update) Since the writing of this article, Apple has announced their press conference place on the 7th September 2016. According to evleaks the iPhone release week will be on 12 September 2016. This is pretty accurate considering past apple events with preorders happening on that very week. Rumour has it that it may be 3 new modules rather than 2 stepping away from what we have come to know of late from Apple. 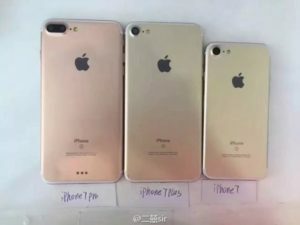 iPhone 7, iPhone 7 plus and iPhone 7 pro are the three devices that may make an appearance. It looks like the iPhone will have the same design as the 6 but there will be a bit of a difference that may not be noticeable at first. The iPhone may be losing some extra weight making it one millimeter thinner than its current offering. If this is true then it could mean bye bye earphone jack. The Antenna lines of the iPhone concepts have also changed positions making them less noticeable than before. What is clear is the camera bump which can be put down to how slim the new module will become. But as mentioned there is a pro version and there is clearly a difference between the pro and the rest of its siblings. 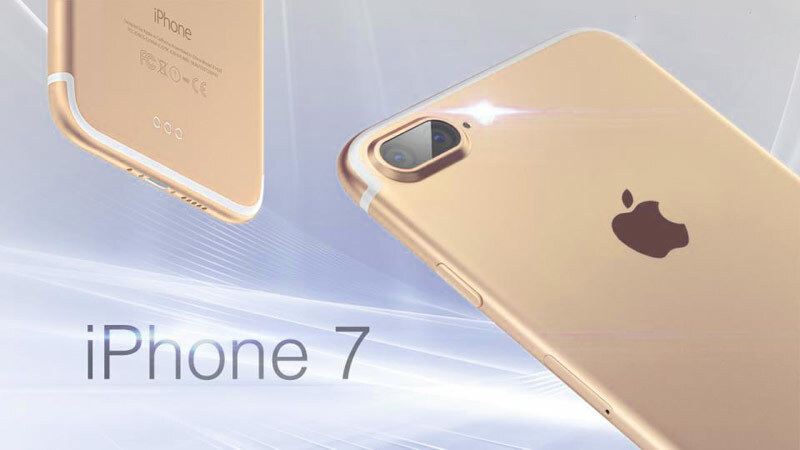 The iPhone 7 pro would be similar to the rest of the range but would feature the touted dual- lens camera. This is the hope of increasing the camera view when you’re taking pictures and videos. Better angels in images? Yes, please. Throw in some bigger sensors into the new models, ram upgrade and an iPhone starting at 32gb then the iPhone 7 – based on the rumours- becomes a very interesting prospect to becoming your next handset. Here with have the Uks very own SuperSaf with a live demo handset.